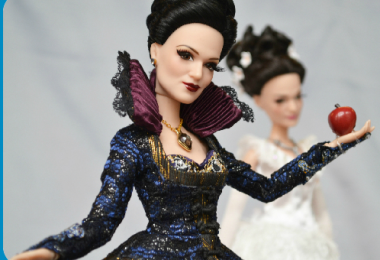 If you’re anything like us, you’ve already started to pick which D23 EXPO 2015 events you just cannot miss. The Muppets panel? Check. Seeing “The Originals” sing from the best of Disney on Broadway? No doubt. Witnessing George Lucas and Susan Lucci (among awesome others) being honored as Disney Legends? Of course! 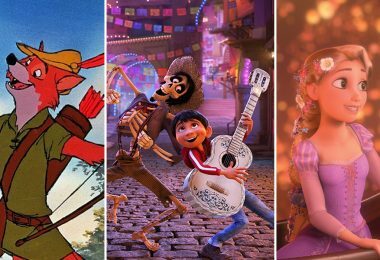 But D23 EXPO isn’t just about the myriad of panels, exhibits, guests, and entertainment found in every nook and cranny of the Anaheim Convention Center. 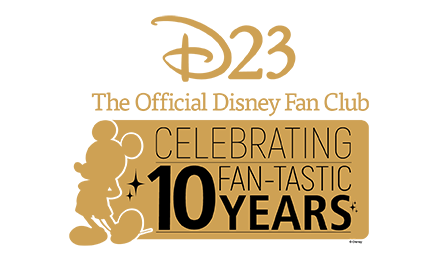 It’s also about how you—the fans—can take part in all the D23 EXPO fun like never before! 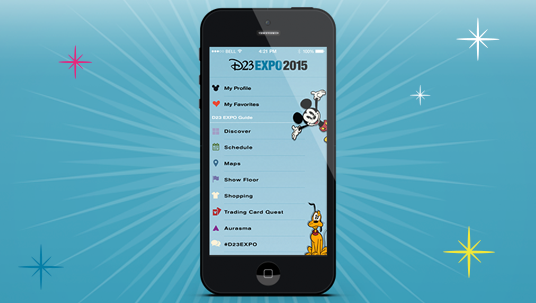 The D23 EXPO 2015 Official Mobile App will help you navigate the D23 EXPO like the seasoned Disney pro you are. 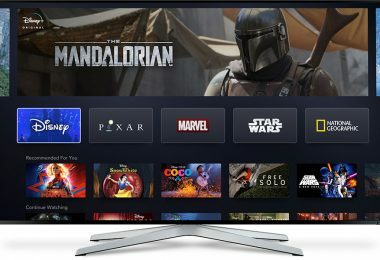 All the entertainment, presentations, shopping, photo opportunities, and magic that Disney has in store will be right at your fingertips—including maps to help you find everything you need, from stages and stores to photo spots; the full schedule of presentations and special entertainment; and up-to- the-minute info on StagePass availability. You’ll be able to personalize a schedule that helps you make those hard decisions about what to do next a little bit easier, and it’ll help you “shop ‘til you drop” with all our Disney and partner stores. You can find it now on the App Store and the Google Play Store. 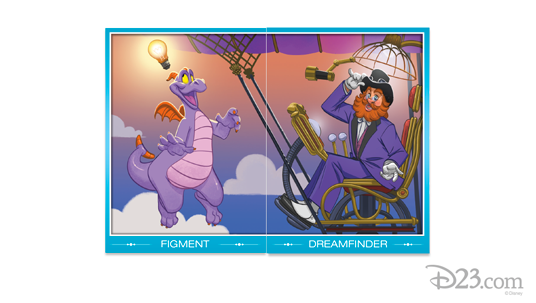 Your favorite Disney characters—from Princesses to Villains and everyone in between—will come to life through a series of collectible Disney trading cards. 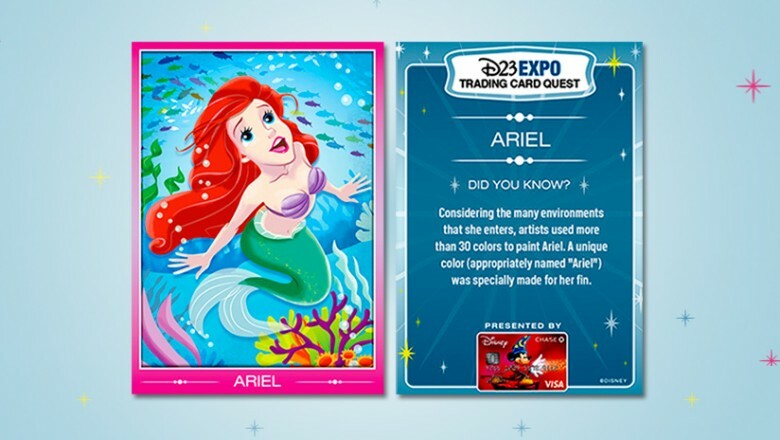 You’ll receive a “starter pack” of cards in your D23 EXPO 2015 Souvenir Guide; then, throughout the weekend, search for opportunities to collect different cards from locations all over the show floor. (Check your D23 EXPO 2015 floor map for more information, and keep your eyes peeled for surprises!) 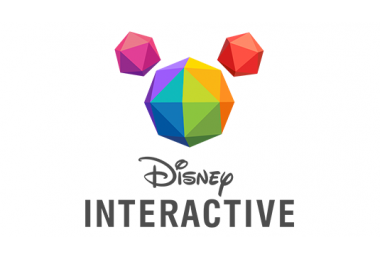 Make sure to download the Official D23 EXPO 2015 Mobile App and follow D23 on social media all weekend long, because we’ll be announcing very special card “drops” you won’t want to miss. 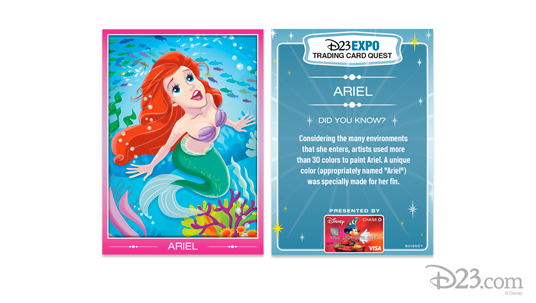 But that’s not all: Meet up with fellow fans at Trading Card Quest Headquarters at the Disney Visa® Card Booth in Exhibit Hall B all weekend to trade cards in hopes of completing your collection. 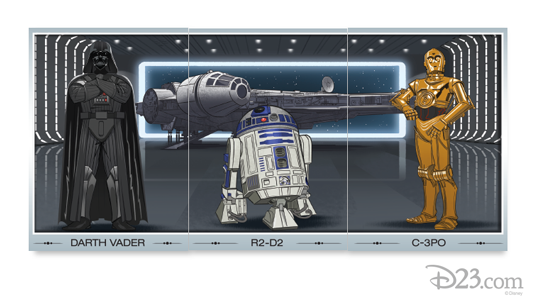 There are 30 cards in all, and they’ll come together as singles, pairs, and even trios. 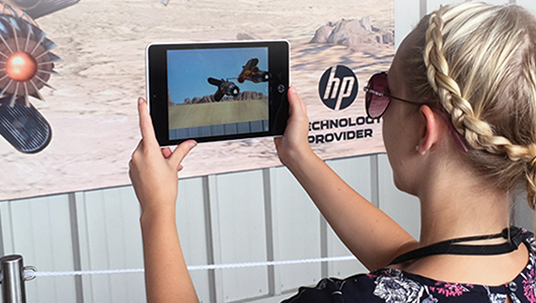 This year, you’ll be able to interact with D23 EXPO in a whole new way, thanks to HP Aurasma’s augmented reality technology. 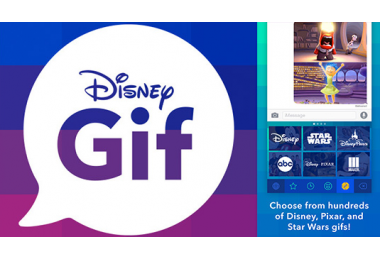 You can access Aurasma just by downloading the D23 EXPO Official Mobile App. Aurasma is an interactive “augmented reality” technology that brings everything around you to unexpected life! Find an Aurasma location, launch the Official Mobile App and open Aurasma in the menu to unlock special content. All you have to do is point your phone at the image, or object to enjoy. And make sure to check out the cover of the D23 EXPO 2015 Souvenir Guide for a special “Aura” to get you started! Aurasma locations are listed in the Guide Map and within the D23 EXPO Mobile App. D23, the Official Disney Fan Club, presents a whole slate of photo opportunities at D23 EXPO 2015, located throughout the convention center. These photo spots are made up of figures and scenes from your favorite Disney films, TV series, and attractions—including Big Hero 6, Toy Story, Star Wars Rebels, and Frozen. 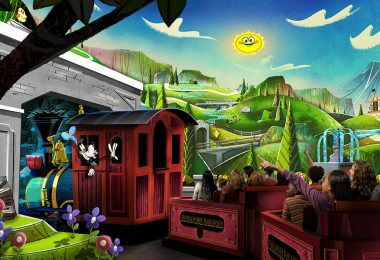 It might be a fun item on display, like an actual vintage Skyway vehicle from Disneyland, or a colorful scene from The Pirate Fairy to pose in. And, as if that weren’t enough, celebrated Mouseketeer Annette Funicello’s actual Disney Legend handprints will be on display the entire weekend. Get those cameras and smartphones ready!